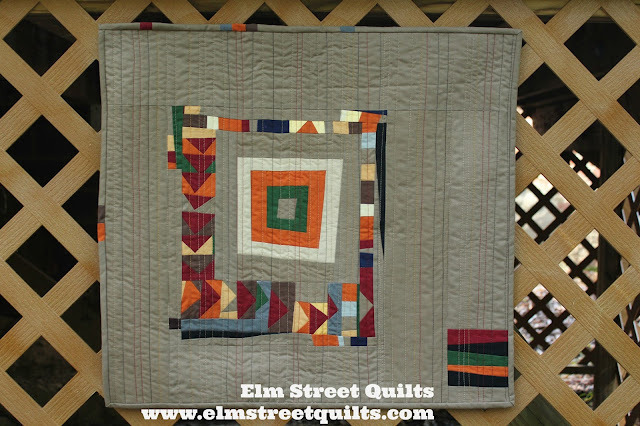 I love making quilts with American Made Brand solids 75 colors to choose from - many of my recent finishes are made from these solids. 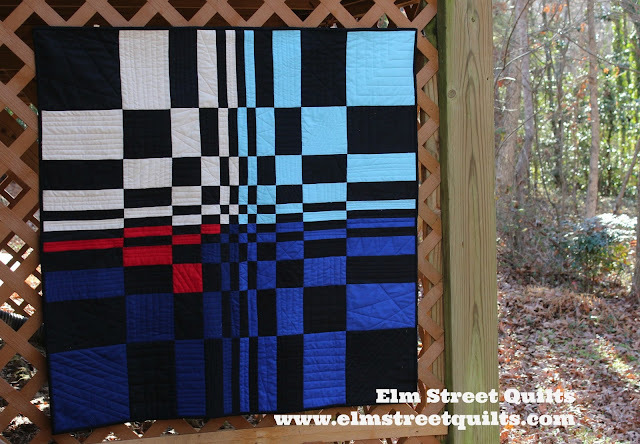 Numbers uses three shades of blue and a splash of red for a bold Fibonacci quilt. Autumn Equinox was my very first attempt at improv and used my favorite AMB colors. For Tulips, I combined shades of the same colors to make a fun squared off flower! Besides the fabric being wonderful to work with, one of my favorite parts is that the entire process for making this fabric is done in the US, starting with the cotton. American Made Brand has put together a really wonderful video that explains the process and introduces you to the farmers who grow the cotton. You can watch from their Facebook page or directly on Youtube. 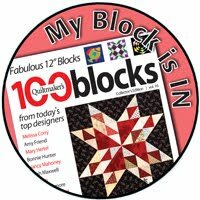 I'm actually in this video - well sort of ..... at 3:55 there is a close-up of a quilt block with lighthouses. 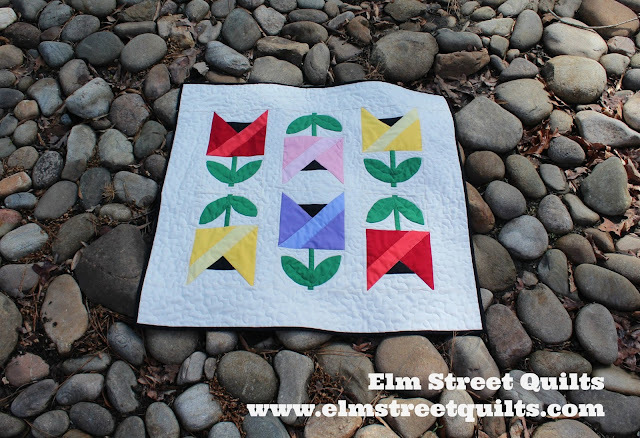 That is MY quilt block! Quilt and photo credit to the Works. Read more about the quilt here. 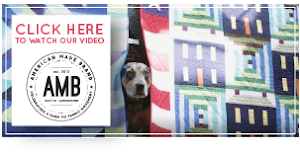 Well the real star of the video might just be the dog who peaks between the quilts around minute 4. Her name is Cali and she is a Catahoula Leopard Dog. Cali was adopted at the Houston Quilt Market 4 years ago when the AMB team bumped into an adoption event while looking for a place to eat dinner. They just couldn't resist that cute dog and brought her back to the hotel room! You can buy American Made Brand solids at quilt stores everywhere. I buy mine at here and here. 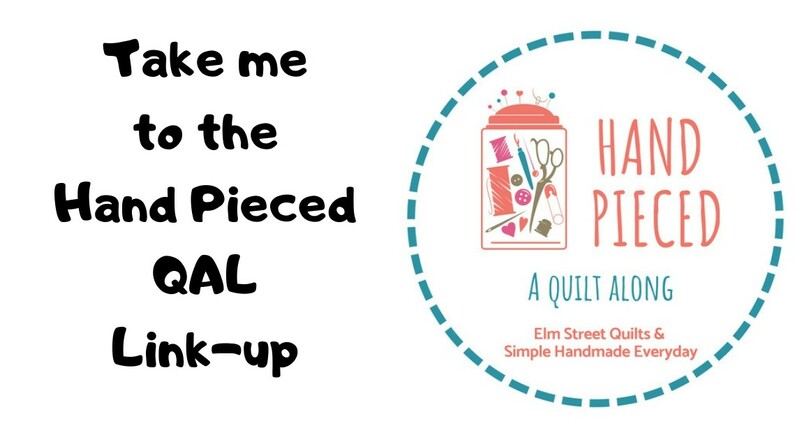 I'm excited by the new pre-cuts and can't wait to give some a try! I definitely have working with American Made Brand solids on my to do list! 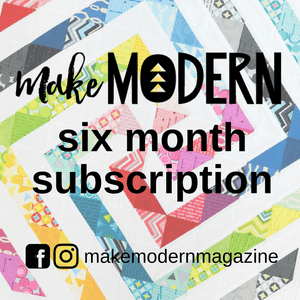 Thanks for posting this about the company, the quilt and the dog. Loved the video! I'll be shopping for some of these solids soon. Very cool! Thanks so much for sharing. I'll definitely keep my eye out for them at my LQS.